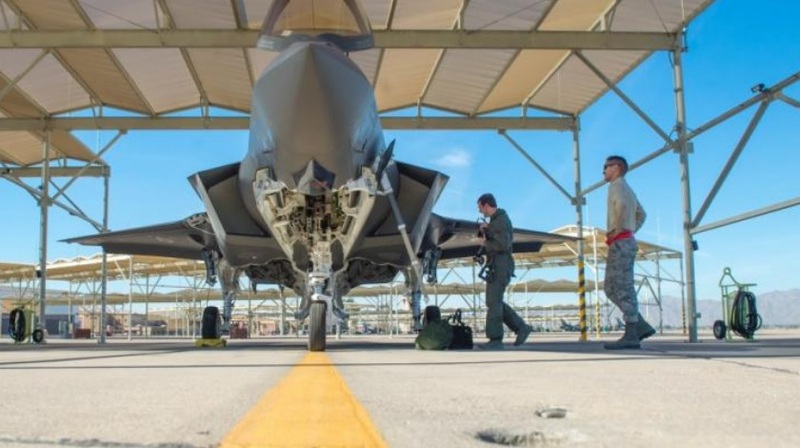 The Pentagon is embarking on a comprehensive effort to examine the entire F-35 supply chain from top to bottom for opportunities to compete components and repair work, according to a top Department of Defense official. The Pentagon is in the midst of cataloguing each and every F-35 part, from wings to fasteners, into a comprehensive data set, McMahon said. Each component will be given a national stock number, which will allow the department to better understand the maintenance requirements for that component, what the government is paying for it, what the government should be paying for it, and what the annual demand forecast for that part looks like. This process, which the department began in earnest in January, should wrap up in September, McMahon said. After that, the government can begin to drill down into whether it is getting each component at the best price. For many F-35 parts manufacturers, that means the government could choose to look for alternative options. The cataloguing process will also help the department determine whether it is already buying an identical part somewhere else. That could help reduce redundancies, McMahon said. “That doesn’t mean that Lockheed Martin might not be the primary source for both supply and repair in the future, but it’s going to be that we have options,” he said. Lockheed has already found at least one opportunity to compete F-35 components. The company has identified an alternative supplier to Northrop Grumman’s AAQ-37 Distributed Aperture System (DAS), a series of electro-optical/infrared cameras placed around the fuselage to provide the pilot 360-degree, all-weather situational awareness. Over declined to identify the alternative supplier, but one likely candidate is Elbit Systems, a global leader in advanced electro-optical systems. Approximately 35% of the aircraft is presently made by Northrop, including the center fuselage and APG-81 active, electronically scanned fire control radar.